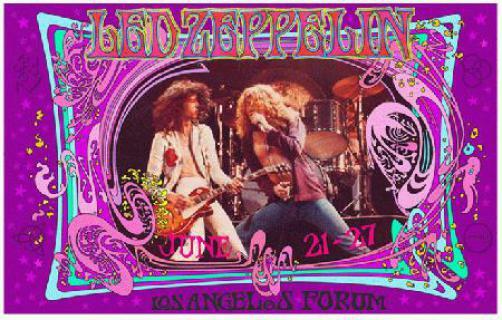 Concert poster for Led Zeppelin at the LA Forum in CA. 23 x 14.5 on card stock. Artwork designer Bob Masse.